If you need me to sign something (e.g., a form for the examination office), please hand it to Helga Reinermann. You can later pick it up from her office. If you would like to make an appointment for an oral exam (short or long), please send an email to Helga Reinermann. If you need to talk to me about possible acknowledgment of credits, please come to my office hours and bring all relevant documents, syllabi, slide copies, forms, etc. If you would like to enquire about possible thesis topics, please look at our research pages and the Thesis page, then come to me during my office hours, or talk to my PhD students, or talk to me right after lecture. You are welcome to suggest thesis topics of your own. If you need to write me an email, please try to be concise. If you have a question about my courses, it is probably easiest, if you give me a call during my office hours, or catch me right before or after any lecture. Short Bio, Lebenslauf in 200 Wörtern, Bio in 200 words, 3-Page CV. My Erdös Number = 4 (see MR Collaboration Distance). Member of the Steering Committee of VRIPHYS since 2014. General Chair and Co-chair of the program committee of VRIPHYS 2015, together with Fabrice Jaillet. Member of the ICAT International Steering Committee since 2014. General Chair, co-chair of the program committee, local organizer, etc., of the 11th Workshop on Virtual Reality Interaction and Physical Simulation (VRIPHYS) 2014 in Bremen. General Chair, Chair of the program committee, local organizer, publications chair, etc., of the EuroVR conference 2014 in Bremen. General Co-Chair and local organizer of the co-located conferences 24th International Conference on Artificial Reality and Telexistence (ICAT 2014) and the 19th Eurographics Symposium on Virtual Environments (EGVE 2014) in Bremen. General Chair, Chair of the program committee, local organizer, publications chair, etc., of the GIVRAR-Workshop 2014 in Bremen. Member of the Review Panel in the Human Brain Project for the Competitive Call for additional project partners ; Jan 2014. External examiner for the M.Sc./P.Grad.Dip. program in Computer Science Interactive Entertainment Technology at the Trinity College Dublin, Ireland; 2013 - 2015. General Co-Chair of the VRIPHYS 2013. Co-Chair (with David Feng) of the Scientific Visualization Contest 2013 of the IEEE VisWeek 2013. Co-Chair (with Jean Favre, Swiss National Supercomputing Center) of the Scientific Visualization Contest 2012 of the IEEE VisWeek 2012. Co-Chair (with Jan Klein, MeVis) of the Scientific Visualization Contest 2011 of the IEEE VisWeek 2011. Member of the program committees of various conferences such as VRST, IEEE VR, Short Papers of EUROGRAPHICS 2013, EGVE, Web3D, JVRC, etc. 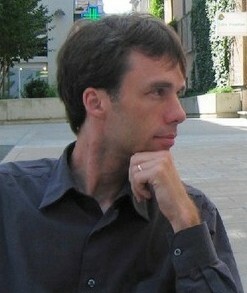 Member of the Conference Committee of IEEE VR in various roles (e.g., videos chair, demos chair, tutorials chair, publications chair) since 2008, and a member of the program committee since 2009. Area Chair / Associate Editor for Tack II: Virtual Reality and Medical Applications, at ICPR 2012. Organizer of the IEEE VR 2007 workshop "Trends and Issues in Tracking for Virtual Environments" at Charlotte, NC, US. And reviewer for many journals such as: J. of Computational Geometry & Applications, ACM Transactions on Visualization, ACM Transactions on Graphics, IEEE Trans. on Visualization and Computer Graphics, Elsevier CG&A, Computer-Aided Design, ACM Computing Surveys, IEEE Transactions on Robotics, etc. Expert reviewer for the monitoring of EU STREP project 034691 Net-WMS within FP6 in 2007-2010. Member of the Kuratorium der Innovationsallianz Virtuelle Techniken (advisory board for the innovation alliance for virtual technologies) in 2009-2014. Member of the review panel "Information and Communication Technologies" for the Cyprus Research Promotion Foundation (RPF) in 2008-2009. I have also served many times as a reviewer for DFG, the German Science Foundation, and other funding agencies, such as the Israel Science Foundation (ISF), the Austrian Science Foundation (FFG), and the Investitions- und Strukturbank Rheinland-Pfalz (ISB). I was, of course, external examiner or referee of several PhD theses and candidates, both in Germany and Europe, e.g., for Technical University of Catalonia (UPC), Trinity College Dublin, Leibniz-University Hannover, University Koblenz, Bonn, Germany, etc. Dean of Studies ("Studiendekan") for the Faculty of Mathematics, Computer science, and mechanical engineering, Clausthal University, from 2008 until 2012. Head of the examination office for the study program Digital Media at University Bremen, since 2013. Member of the committee for the development of the study program Digital Media at University Bremen, since 2013. For a list of current projects, please check the Research web page of my lab. The following list are some older projects. One of my passions is collision detection. During the years 2000 and 2001, I have helped start IGD's spin-off company VRCom (selling our VR system Virtual Design II) by giving all kinds of technical support and consulting. The list below is fairly out-dated. Please check my group's Publications page for an up-to-date list. Note 1: all Postscript files are gzip'ed. Most of them are level 3. Most PDF files are level 1.4 (or higher). In case of problems, please don't hesitate to contact me. Note 2: The copyright for most of the above papers has been transferred to a publisher. The ACM and IEEE grant permission to make digital or hard copies of part or all of the works they publish for personal or classroom use. See any copyright notices on the individual papers for details. in Encyclopedia of Parallel Computing, Springer, Padua, David (ed. ), 2011, pages 146-157.
International Symposium on Visual Computing (ISVC), Las Vegas, NV, USA, 2011. IEEE International Conference on Consumer Electronics (ICCE), Las Vegas, NV, USA, 2011.
in: Virtual Technologies for Business and Industrial Applications, by N. Raghavendra Rao (ed. ); IGI Global, 2010, ch. 3, pp. 36-67. Computers & Graphics, Vol. 33, Issue 4, August 2009, pp. 554 - 565. ACM SIGGRAPH Video Game Proceedings, New Orleans, LA, USA, Aug 2009. Robotics: Science and Systems Conference (RSS), Seattle, WA, USA, June 2009.
International Conference on Computer Vision Theory and Applications (VISAPP), Lisbon, Portugal, February 2009. 12th International Conference on Computer Analysis of Images and Patterns (CAIP), Vienna, Austria, Aug 2008. IEEE VR, Charlotte, NC, USA, March 2007. WSCG, Plzen, Czech Republic, Feb 2007. Vriphys, Madrid, Spain, November 2006. VRCIA, Hong Kong, China, June 2006. EGVE, Lisbon, Portugal, May 2006. IPDPS, Rhodes Island, Greece, April 2006. DATE, Munich, Germany, March 2006. WSCG, Plzen, Czech Republic, Feb 2006. Technical Report, IfI-06-02, TU Clausthal 2006, ISSN 1860-8477. Patent on Collision Detection , May 2005, US Patent and Trademark Office. SIGGRAPH Poster, Jul 2005, Los Angeles, USA. Design Automation and Test (DATE), March 2005, Munich, Germany. Computer Graphics forum, vol. 24, no. 1, pp. 61-81, March 2005. Proc. of WSCG 2005, University of West Bohemia, Plzen, Czech Republic. VMV 2004, Nov 2004, Stanford, California, USA. Proc. Eurographics, State-of-the-Art Report, Aug/Sep 2004, Grenoble, France. Computers & Graphics, vol. 28, no. 6, 2004. Computer Graphics forum (EUROGRAPHICS), Aug/Sep 2004, Grenoble, France. SIGGRAPH 2004, Sketches and Applications, Aug 2004. Technical Report, University Bonn, 2004. SPBG, June 2004, Zürich, Switzerland. CGI, June 2004, Crete, Greece. VMV 2003, Nov 2003, Munich, Germany. GD 2003, Nov 2003, Seattle, Washington, USA. VRST 2003, Oct 2003, Osaka,Japan. Technical Report, Aug 2003, University Bonn. WSCG 2003, Feb 2003, University of West Bohemia, Plzen, Czech Republic. ACM Symposium on Virtual Reality Software and Technology (VRST), Nov. 2002, Hong Kong, China. Workshop über Trends und Höhepunkte der Graphischen Datenverarbeitung (Proc. are English mostly), Nov. 2001, Universität Tübingen; GI Fachausschuß 4.1 Graphische Datenverarbeitung. Eighth ISPE International Conference on Concurrent Engineering: Research and Applications (ISPE/CE2001), July 2001, West Coast Anaheim Hotel, California, USA. Proc. of the First International Game Technology Conference (GTEC), Hong Kong, 18-21 January 2001. Computers & Graphics, volume 23, number 3, June 1999, pages 389 - 403. Proc. of the 1998 ASME Design Engineering Technical Conferences, September 13-16, 1998, Atlanta, Georgia Paper # CIE-5536. Proc. of IEEE Virtual Reality Annual International Symposium; VRAIS '98. Atlanta, Georgia; March 1998. Pages 90-97. In: Fan Dai (Ed. ): Virtual Reality for Industrial Applications. Springer 1998. Chapter 1, pages 13 - 38. Proc. of the 1997 ASME Design Engineering Technical Conferences, September 14-17, 1997, Sacramento, California. Paper # CIE-4306. Proc. Computer Graphics International (CGI'97), June 23-27 1997, Hasselt and Diepenbeek, Belgium. Proc. ACM Conf. VRST, July, 1996. The BoxTree: Exact and Fast Collision Detection of Arbitrary Polyhedra , SIVE95 (First Workshop on Simulation and Interaction in Virtual Environments), University of Iowa, July 1995.
with an appendix for the mathematical details. Technical University Darmstadt, Dept. of Computer Science, 1994. In: Nadia Magnenat-Thalmann, Daniel Thalmann (Eds. ): Artificial Life and Virtual Reality. John Wiley and Sons Ltd. Chapter 13, pages 189 - 210. Invited talk at the Meeting of DAAD-Scholarship Holders (DAAD-Stipendiatentreffen) 2015. Keynote Talk at ICEC 2012, 11th International Conference on Entertainment Computing . anlÃ¤sslich der TILL 2011 (Tag der Informatiklehrerinnen und -lehrer Niedersachsen / Bremen in Clausthal), im März 2011. FH Bonn-Rhein-Sieg, Sankt Augustin, Germany, Dec 2009. Eurographics, Crete, April 2008, ST #2. Kinetic Bounding Volume Hierarchies and Collision Detection Kolloquium der Informatik in Bonn, 25. January 2008. Collision Detection as a Fundamental Technology in VR Based Product Engineering: paper, slides. 2nd Advanced Study Institute "Product Engineering: Tools and Methods Based on Virtual Reality", Chania, Crete, 30 May - 6 June 2007 (sponsored by the INTUITION Network of Excellence). 8th Corporate Workshop Virtual and Augmented Reality at Volkswagen, Sep 13-14, 2006. Collision Handling and its Applications . Eurographics, Wien, Austria, Sep 2006, Tutorial #13. Collision Handling in Dynamic Simulation Environments . Eurographics, Dublin, Ireland, 29 Aug 2005, Tutorial #2. Real-Time Collision Detection for Dynamic Virtual Environments . IEEE VR 2005, 12 - 16th March, Bonn, Germany (Tutorial #4). Efficient collision detection for VR and simulation software . Invited talk at MOVIE Workshop, 7.-8. January 2005, Toulouse, France. Tutorial "Geometric Data Structures for Computer Graphics" . Siggraph 2003, 27-31 July 2003, San Diego, California, USA. Tutorial "Geometric Data Structures for Computer Graphics" (PDF 1.2 MB). Handouts (PDF 500 kB). Eurographics 2002, 2-6 September 2002, SaarbrÃ¼cken, Germany. Tutorial "Virtual Reality for Virtual Prototyping" (PDF 600 kB). Eurographics Portuguese Chapter, ISBN 972-98464-1-3. Invited Tutorial "How to calibrate a CAVE" (PDF, 1 MB). First CAVE Programming Workshop, 1-3 Oct 2001, Center for Parallel Computers at the Royal Institute of Technology, Stockholm, Sweden. Invited Talk "Virtual Reality in Assembly Simulation -- Collision Detection, Simulation Algorithms, and Interaction Techniques" (PDF, 500kB). GMD IMK, Oct 2000, Sankt Augustin, Germany. For an up-to-date list of my teachings, please go to the Teaching web page on my lab's home page. Below is the list up to the point when I left Clausthal University in order to move to Bremen University. Please look here for a list of Diploma Theses I am currently offering. Here are Ten Golden Rules for Presentations. I have received help so many times through some wonderful piece of software (like, vi, CVS, xv, gnuplot, xfig, you name it) that I wish to return at least a little bit of that by making available some of the stuff I hacked up . I have written up some programming guidelines for C and C++ (in German) of our programming team. They are somewhat biased towards Unix. If you have any suggestions, corrections, etc., please let me know. Here are the templates for C files, header files, and C++ files, mentioned in my programming guidelines. On my vim page you can find some macros, my vimrc files, vim precompiled for SGI (IRIX) and other (hopefully) useful stuff. On my mutt page you can find my muttrc files, mutt precompiled for SGI (IRIX), and MSWordView, a Word-to-HTML/Text converter, precompiled for IRIX. I write almost all documents in LaTeX (and avoid M$ Word if possible). So, here is some Latex related stuff, mainly an example for newbies and some macros I found useful over time. Conference Presentation Judo, an entertaining and educating talk about the Do's and Dont's in giving presentations. This is my home town shown in Google Maps. Or the Global Internet Liberty Campaign. Also, you might like to learn about the "Internet-Aktion gegen eine Kryptographie-Regelung". Did you notice an increase in spam during June 1998? (Maybe, that was because a group of spam-cancellers went on strike.) Boycott Internet spam! Die Inhalte meiner Seiten wurden mit grÃ¶ÃŸter Sorgfalt erstellt. FÃ¼r die Richtigkeit, VollstÃ¤ndigkeit und AktualitÃ¤t der Inhalte kann ich jedoch keine GewÃ¤hr Ã¼bernehmen. Nach Â§Â§ 8 bis 10 TMG bin ich jedoch nicht verpflichtet, Ã¼bermittelte oder gespeicherte fremde Informationen zu Ã¼berwachen oder nach UmstÃ¤nden zu forschen, die auf eine rechtswidrige TÃ¤tigkeit hinweisen. Verpflichtungen zur Entfernung oder Sperrung der Nutzung von Informationen nach den allgemeinen Gesetzen bleiben hiervon unberÃ¼hrt. Eine diesbezÃ¼gliche Haftung ist jedoch erst ab dem Zeitpunkt der Kenntnis einer konkreten Rechtsverletzung mÃ¶glich. Bei Bekanntwerden von entsprechenden Rechtsverletzungen werde ich diese Inhalte umgehend entfernen.